When Michele’s father, internationally acclaimed champion golfer, Gary Player, gave her and her team carte blanche to complete the interiors of their family home, it was a project – for lack of a better adage – that she was ‘born ready’ for. Knowing what a family’s lifestyle and daily routines entail, as well as how they utilize space, are critical factors for any designer to deliver a finished product. For Michele, this was the easy part and together with the architect and her team embarked on fine-tuning the design language of the homestead – set on a stud farm in the rural Great Karoo – that presented the challenge. The site itself was the starting point for this process, as the Great Karoo has some of the most interesting landscapes in Southern Africa and is steeped in history both ancient and colonial. 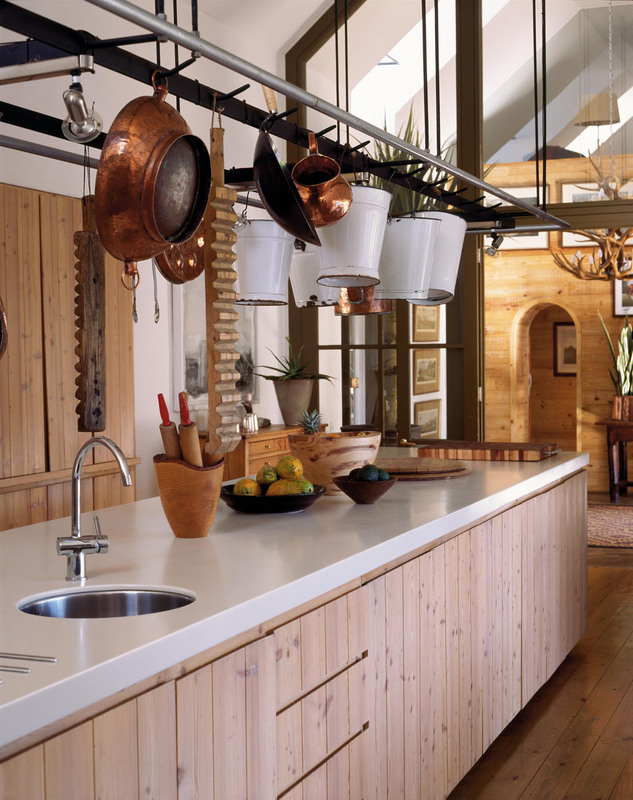 The confluence of this has resulted in a particular Karoo-farmhouse aesthetic, not one that’s typical however rather one that has a contemporary flair and is easily adaptable to modern tastes. Michele and her team’s neutral palette, laden with texture and interesting combinations of materials and accessories, perfectly complimented the home’s bountiful structure and use of space. The pine wall panelling, typical of an Alpine ski resort, which creates warmth and depth throughout, contains the volume of the pitched roof. The taupe and red-brown stone tiled floors were cut from stone found on the farm, which frames up the mostly neutral palette of furnishings and rugs. One of the sitting areas has a blood red colour theme and is where all the grandchildren hang out, while the grand and voluminous dining area has hundreds of tiny LED lights dotted throughout the pine-panelled ceiling that when switched on looks remarkably like the Karoo night-sky. There is a pastiche of collectable items from Zebra hide rugs to a custom-made suede tassel chandelier, to animal boneheads, antiques, chrome and leather beds, and some more simplistic white French boudoir furnishings. All of which seems perfectly at home, here in the Great Karoo.